Ervin Santana makes his way in from the Lookouts' bullpen to start the game. 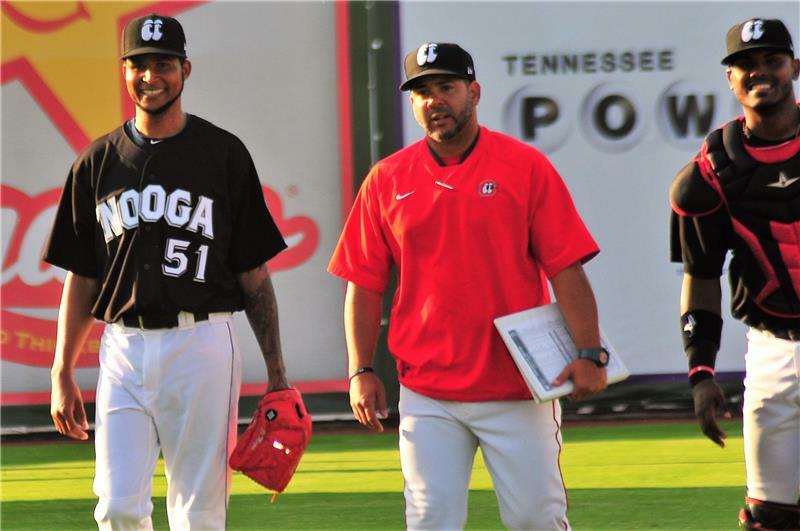 The Chattanooga Lookouts have lost a season-long four straight games for just second time this season, dropping the series opener to Montgomery 8-1 on Wednesday night. With this loss, the Lookouts first-place lead is in jeopardy; they lead Jackson by one-half game. Wednesday's game was the first without top prospect Nick Gordon who was promoted Tuesday to the Triple-A Rochester Red Wings. Making his first start since the 2017 American League Wild Card game, Ervin Santana's night didn't get off to the best of starts as he allowed a leadoff home run to Biscuits third baseman Jake Cronenworth. After a single from Dalton Kelly, Santana managed to retire the final three batters of the first inning. Santana then allowed another run in the second inning, finishing his rehab start giving up four hits while striking out one across two innings of work. 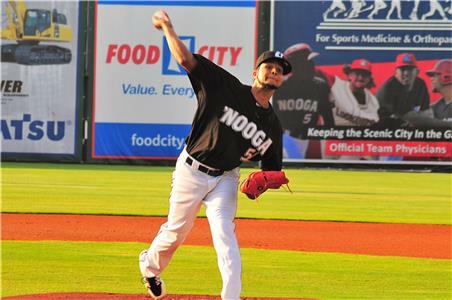 Montgomery added three runs in the fourth inning before the Lookouts broke up the shutout in the bottom half of the frame. Making his AT&T Field debut, outfielder James Ramsey reached on a bunt single before Edgar Corcino drove him home with an RBI single. Corcino now has an RBI in three straight games and ranks second among Lookouts hitters with 22 this year. Meanwhile, Ramsey now has a hit in three straight games since joining the Lookouts during their recent road trip in Biloxi. The Biscuits capped their night off with two runs in the eighth inning and one in the ninth, tallying 10 hits in the process while limiting Lookouts hitters to just three. Coming on in relief of Santana, southpaw Lewis Thorpe struck out five for the sixth time this season to now lead the team with 46. Chattanooga and Montgomery will continue their series tomorrow night when right-hander Kohl Stewart (3-1, 4.70 ERA) toes the mound opposite Biscuits lefty Genesis Cabrera (4-3, 3.12 ERA) at AT&T Field. The Minnesota Twins hope to see Santana return to the starting rotation.